In a mission critical environment where even temporary system failures cannot be accepted, any single point of failure has to be avoided including all hardware components. For this purpose MessagePlus/Open supports standard cluster solutions such as Microsoft Cluster Server, Windows Server Failover Clustering, AIX HACMP, and Solaris Cluster. In these environments specific system software monitors the availability of two or more cluster nodes and in case of a failure automatically switches services from a failed node to an active node. As an alternative to traditional cluster solutions with dedicated hardware nodes, high availability solutions can also be built based on virtualized IT environments. In this scenario MessagePlus/Open runs in a virtual machine and in the event of physical server failure, this virtual machine is automatically restarted on another production server with spare capacity. 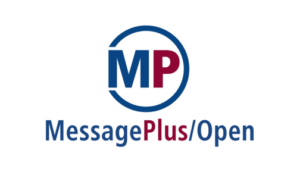 MessagePlus/Open provides a real high availability solution processing mission critical business information even under exceptional circumstances, hardware failures or operating system malfunctions. The application integrates completely with industry standard high availability solutions based on physical or virtualized clusters. At the end of the day this technology guarantees continuous operation, 24 hours a day, 365 days a year.